I recently had the chance to view two of last year’s top box-office draws from China, both of which are Hong Kong/China co-productions helmed by A-list Hong Kong directors. 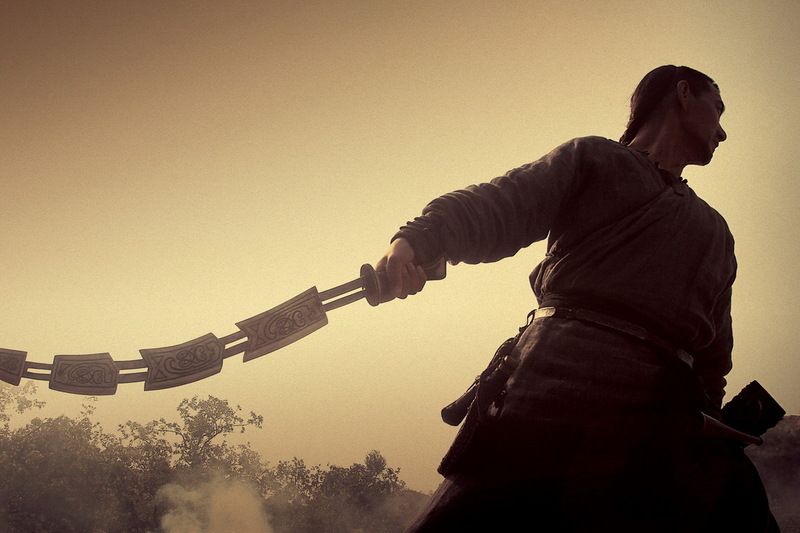 Both Andrew Lau’s The Guillotines and Stephen Chow Sing-Chi’s Journey To The West: Conquering The Demons are flashy, expensive commercial spectacles, but one shows much more directorial flair and cohesion of vision than the other. Although it has about as much in common with the classic Chinese text as did A Chinese Odyssey, Stephen Chow Sing-Chi’s last riff on the Monkey King legend (which is to say, not a whole lot), Journey To The West: Conquering The Demons, is still a brilliant film nonetheless. The narrative follows Zhang Wen, a callow and ineffectual demon hunter being chased by a much more competent and coincidentally beautiful demon hunter, Duan, (Shu Qi) who keeps futilely throwing herself at him. As with A Chinese Odyssey, the movie has a philosophical bent hidden under its humor, as Zhang Wen tries to balance between greater and lesser love while struggling to maintain his chastity in the face of earthly temptation (aka Duan). Chow Sing-Chi is in top directorial form with this one, mixing up pathos, slapstick, crude humor, and CGI. His singular cinematic vision is in full effect, starting with a long set piece involving a fish demon that takes its cue from Jaws, Super Mario Brothers, and Bong Joon-Ho’s The Host. Stephen Chow’s great gift is his visual virtuosity, his skill with deadpan absurdity, and his ability to draw out great comic performances from his actors. Although some of the CGI animals are a bit cartoonlike, some images are sheer genius, such as the brilliant and beautiful image of a bodhisattva gazing over the curve of the earth from outer space. Shu Qi is also outstanding, by turns fierce, giddy, and charming as the demon hunter smitten by her younger colleague. 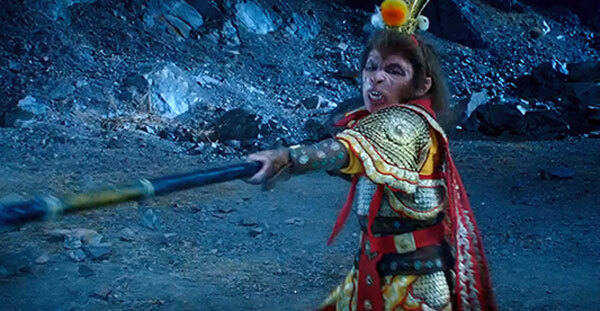 She and Huang Bo, as one incarnation of the Monkey King, have an outstanding improvisational moment late in the film as Sun Wukong teaches Duan how to dance. Journey To The West: Conquering The Demons, is essentially a very long backstory to its supposed inspiration about the Monkey King and his travels. The film has become the highest grossing Chinese-language film in China to date, so a sequel is now in the works, hopefully with some acting role for Chow as well (he doesn’t appear in this one). Quite possibly the second film will more closely follow the classic story, though with Stephen Chow that’s never a guarantee. The Guillotines is another redux of a classic Chinese story, this time remaking Master of the Flying Guillotine, the seminal 1970s kung fu movie that starred Jimmy Wang Yu and the titular spinning metal decapitation machine. While director Andrew Lau (Infernal Affairs) infuses the film with a dusty, gritty feel and some fun fighting sequences, the movie still somehow falls short. The Guillotines follows an elite band of Imperial assassins who find themselves entangled in court politics and who are forced to flee the vengeance of the new regime. 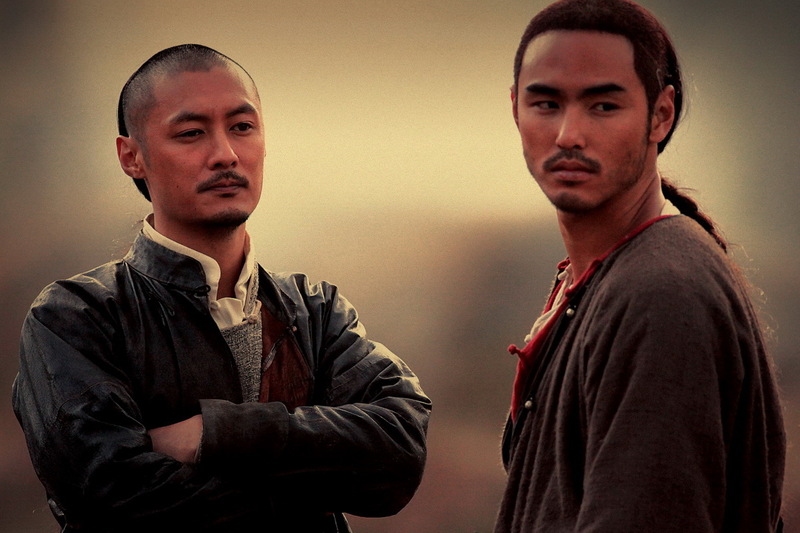 Starring 21st century movie idol youngsters including Huang Xiaoming, Ethan Ruan, and Shawn Yue, (who hail from China, Taiwan, and Hong Kong, respectively), The Guillotines was the number one film in China for a couple weeks before rapidly dropping off the box office charts. Despite its roots as an action film the movie is a bit of a downer as, aside from the thrilling opening sequence full of blood and fancy CGI, the assassins don’t actually get to demonstrate much of their prowess with the weapon that is their namesake. Director Lau is an outstanding cinematographer and his camerawork and compositions make great use of light, shadow, and dust, but despite bromances between the various handsome and brooding characters, the film’s tale of betrayal and brotherhood is somehow less compelling than it should be. Continuing to stake his claim as the movie king of the future, Taiwanese popstar and Golden Horse award-winner Ethan Ruan shows some charisma as the Guillotine with a past. The ordinarily dapper Huang Xiaoming, recently seen as the young Chow Yun Fat counterpart in The Last Tycoon, is less effective as the renegade Guillotine, in part due to his ill-advised beard, flowing hair, and sacrificial, Christ-like demeanor. Still, the movie is an enjoyable time-pass and, with Andrew Lau’s high-caliber cinematography and production design, it’s probably pretty stunning to look at on the big screen. Both films show the continued integration of Hong Kong and China’s commercial film interests. If mainland money means that Stephen Chow keeps making movies, then I’m all for it, since in Journey To The West he seems to have maintained a firm grip on his singular aesthetic. But the flip side of HK/China co-production is good-looking but unsatisfying big-budget movies like The Guillotines. With all of the high-end competition from commercial cinema product from Hollywood, Bollywood, China, or beyond, a movie has to have a more than slick good looks to stand out from the crowd.